Problem, meet solution. 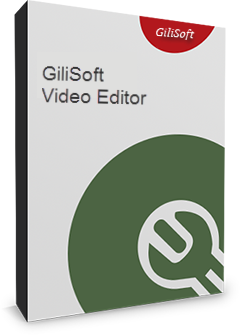 Tell support@gilisoft.com what issues you're facing, and we'll direct you to the software that can solve it. Powerful and useful security software help you protect folder, encrypt file, encrypt usb disk, encrypt CD/DVD, encrypt whole disk. Give your full control of sensitive information and you can block USB port, lock application, erase surfing and operation history. First, best and expert in video software help to remove the differences of different media file formats, edit video, record screen to video, convert photo to video. Help you to speed up computer with RAM Disk and keep your disk clean by deleting unnecessary files. Easily make your audios creative and special. You can record audio, edit audio, edit audio and burn Audio CD. Backup or Make your own CD, DVD, Blu-ray DVD just like an expert. It offers encryption of all disk partitions, including the system partition. This specially useful for laptops and other small computing devices that can be physically lost or stolen. Converts a regular USB flash drive into a secured one in less than a minute, data on the protected area (Secure area) is encrypted by 256-bit AES on-the-fly encryption. a lot of useful functions: crop, cut, join, split, add watermark, add subtile, add music track, and special effects. All-in-one video editing software makes your life more colorful. "GiliSoft Full Disk Encryption is a piece of software built to provide users with the possibility to easily encrypt their hard drives in order to prevent unauthorized access to their data." "GiliSoft File Lock Pro has an attractive interface that is simple to operate. The program guides users through the entire process with a few simple onscreen instructions..."